Frisco is one of the cities in Dallas Metro that offers many exemplary schools, and has been experiencing a tremendous growth. 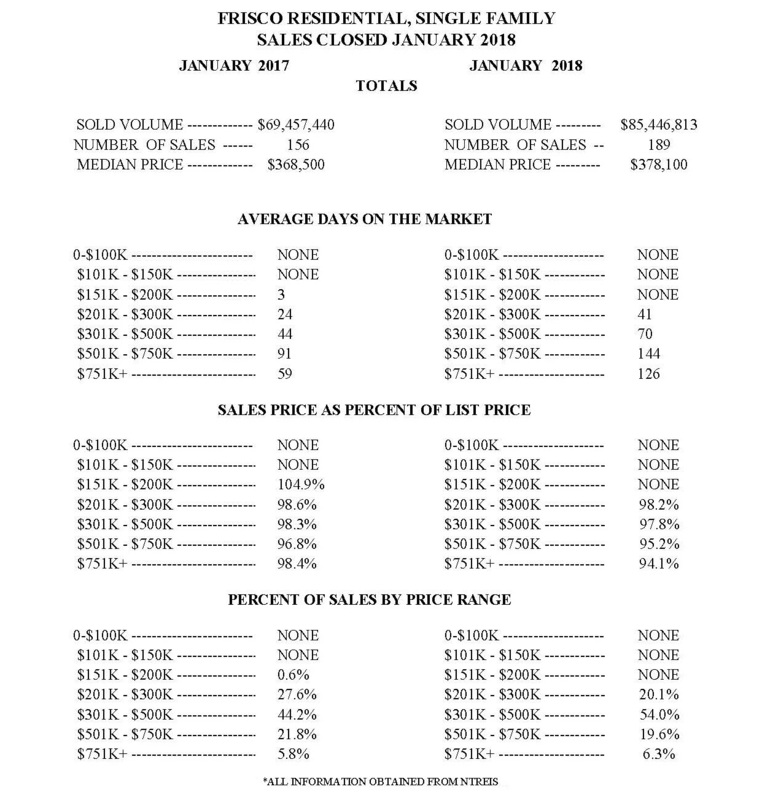 Data as of January 2018 shows that most homes sold were priced at $201k and above, compared to January 2017 where most homes sold were priced at $151k and above. Number of sales jumped from 156 in January 2017 to 189 in January 2018. Median price also increased from $368,500 in January 2017 to $378,100 in January 2018. 54% of homes that were sold in January 2018 were between $301k – $500k. If you are looking to sell or purchase real estate in Frisco and the surrounding area, I’m honored to have the opportunity to assist you.